Through the interchangeable suction cup, the Parrot can be used both indoor and outdoor. A clear display shows the actual temperature, the trend of temperature and the minimum and maximum temperature over the last 24 hours. It's small and compact and can be mounted on glass or other flat surfaces. Buying this product will earn 117 Loyalty Points. 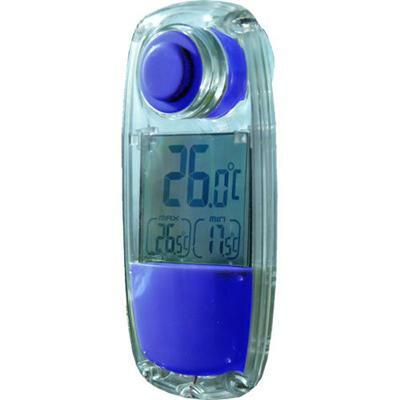 Be the first to submit a review for the PowerPlus Parrot Indoor/Outdoor LCD Solar Thermometer.